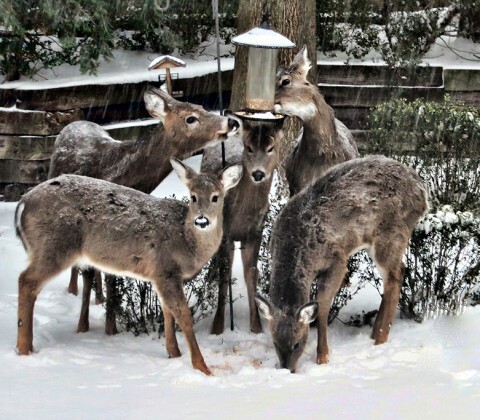 Herd of 5 deer eating their breakfast at the bird feeder. Now that we are at our new home, the deer are more tolerant of humans and come closer to the houses. 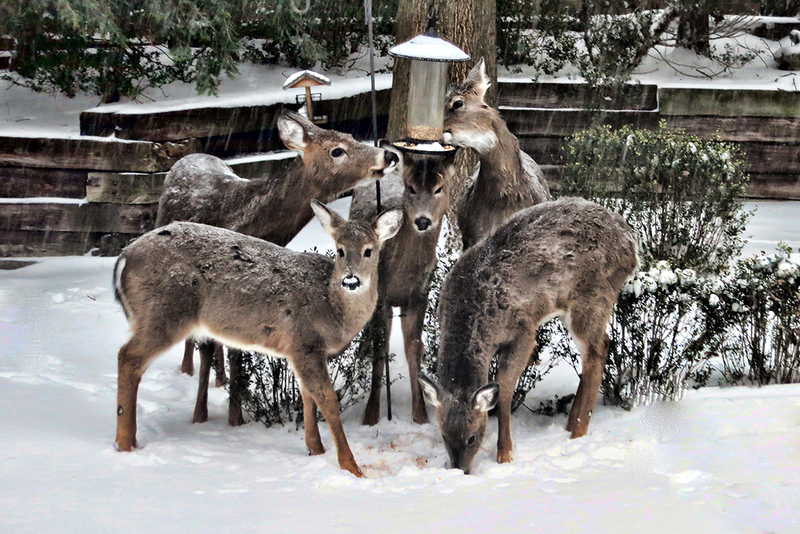 The girls love to watch them eat at the feeders.